Jon Renau Patrice! This straight, chin length bob with soft bangs is as classic as modern styles get. Its Mono Top construction creates a very natural look. Chic Salon Cut! 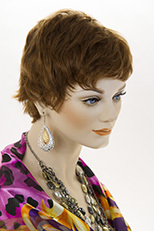 Medium, short, straight, asymmetrical, lace front bob wig. Featuring, heat friendly fiber. Length from 10 to 13 inches. Curved part length, is approximately three inches. Available, in a variety of colors. 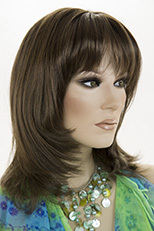 Featuring, several new glamorous fashion colors, with darker rooted part on the right side. See item details for available colors. Short, chic, glamorous, arty, asymmetrical pixie style! 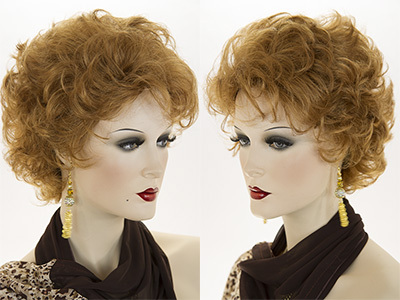 The short side is on the right side of the head with flirty length falling to the left side framing the eyes. 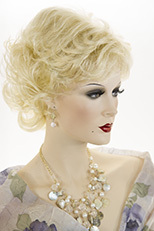 The hair is made from the finest modacrylic Kanekalon fiber origin Japan. See item details for available colors. Two fox-tails attached to a single comb. The hair is straight and slightly layered. Length is 11 inches. See item details for available colors. OPRAH, by Vivica Fox, is a 12 inch loose and medium mixed spiral curl with side skin. Pure stretch cap stretches throughout the entire perimeter inside which lets you wear it comfortably all day long without causing unwanted headache. 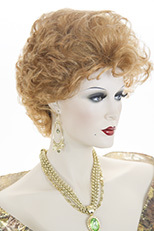 Vivica's one of All-Time Bestselling Item. Elegant style will make you feel gorgeous. 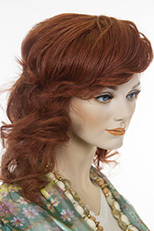 Add volume and shape with this 22 inch bendable wire with wavy hair attached. The hair is approximately 3 inches in length and wavy. See item details for available colors. Premium quality, mid length, straight, layered style wig without bangs. Featuring a natural looking partial skin top with a center part. See item details for available colors.